Gil Amelio was Apple's CEO for exactly 500 days, in 1996-97. He understood Apple's problems and tried to fix them by cutting back expenses and forming business partnerships. One of the issues he addressed was Apple's failure to deliver a modern OS: he eventually bought NeXT for their NeXTSTEP OS - bringing back Steve Jobs to the company he founded. 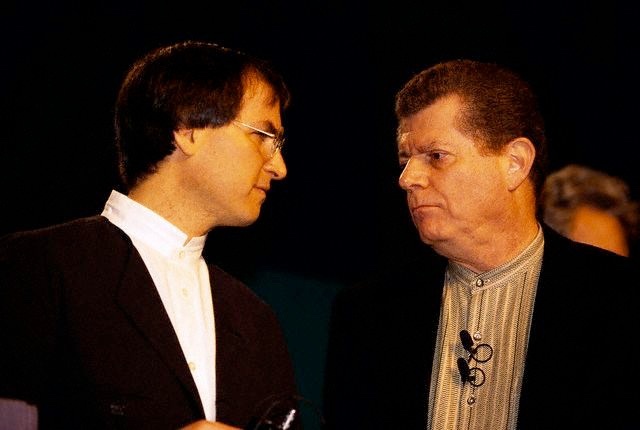 Steve eventually made Amelio leave after a board coup in February 1997, and became interim CEO of Apple.